Black Cape: Clothing Swap, was Jessica's (no tag). Black Lace Up Boots: H&M. Mulembe Scarf: c/o 1000 Shillings. Being a blogger is about being a part of something bigger than yourself. About not just trying to find yourself through your blog, but through enriching the lives of others through your words, images, support, and efforts. Often times I feel so frivolous running a fashion blog, but it's opportunities like this one that fuel me to know that I have a purpose and the ability to spread awareness about issues that mean a lot to me. Body confidence, mental health awareness, striving for your dreams, and women empowerment. 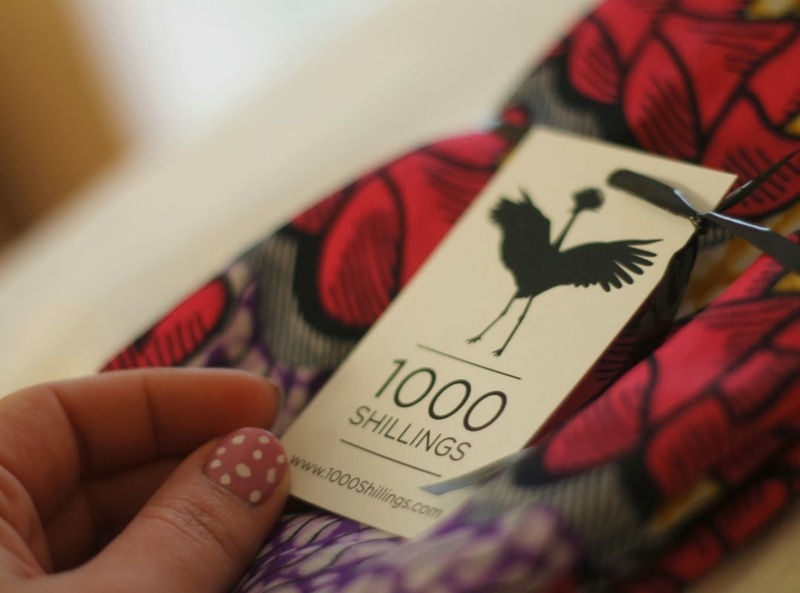 I had never heard of 1000 shillings before a few weeks ago and it's a company everyone deserves to hear about. The name comes from how much money in Uganda that a person lives on a day; forty cents, aka 1000 shillings. The company is an online store that sells jewelery, scarves, handbags, and more that women in Uganda make, each who are striving to live independent lives and chase their dreams. Every item is handmade from a woman who has her own special story, her own dream she hopes to accomplish. My scarf I'm wearing in these photos is handmade by an inspiring woman named Sarah who was the first of 12 brothers and sisters. She grew up in Uganda and at the age of 18 she married a man outside of her home village and had two children with him. When the children were 2 and 5, both died of Malaria and not long after that Sarah became very sick, finding out she had HIV AIDS. Her husband had promised her that he'd been tested, but he lied to her and had been carrying the disease for 10 years. Having two more children after the death of her first two, Sarah found herself and them kicked out of the house by her husband who refused to take care of her. She has been working as a seamstress ever since, supporting her children and herself. To think that this scarf was made by this inspirational woman who is thousands of miles away from me is incredible. I think about everything she's been through and my life pales drastically in comparison to hers, and I feel ashamed for all the things I take for granted in life. But at the same time I am so inspired by this woman who has done more than I ever hope to do. Sarah's story is incredible, as well as, all of the other ladies who make pieces for the 1000 Shillings shop. I'm thankful to support this cause and help these women and want to spread the word as much as I can because it's really such a unique store. 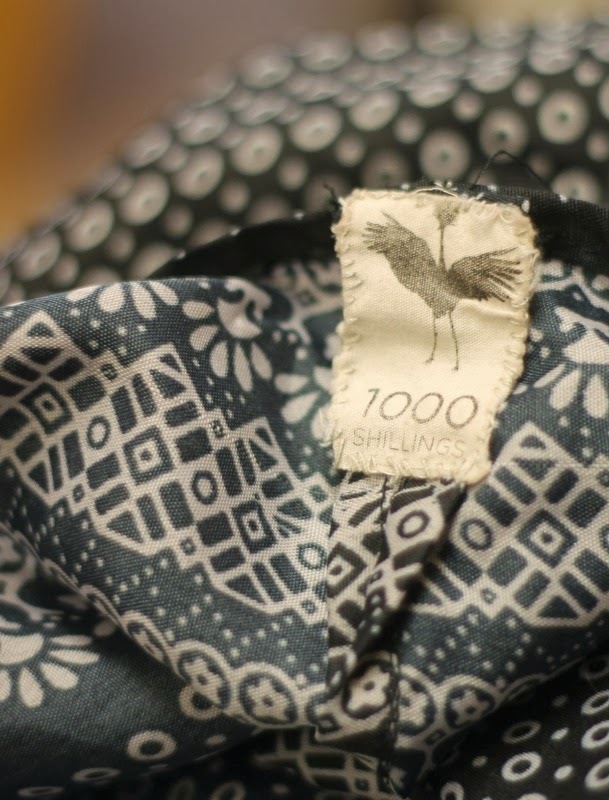 The scarves are made from African wax fabric and have the prettiest, subtle sheen to them. They're also perfect because they're infinity--conveniently wrapping around the neck without hassle. 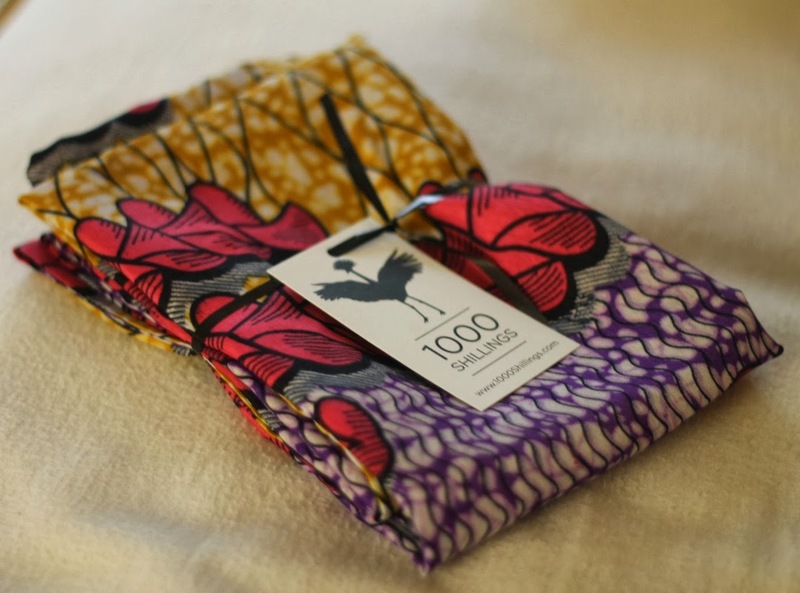 1000 Shillings was so kind enough to let me host a giveaway for you all for the Sanyu Scarf. Enter using the rafflecotper below these images! Thank you so much for reading everyone and helping support this cause! I love the MULEMBE scarf! They make beautiful items. I'd love to show my support by wearing one of their scarves. These women are very inspirational, brave and strong. I absolutely love the scarf you are wearing Lauren. It's adorable! I love the Apapero scarf made by Annette. I think this is a beautiful cause. This woman is so brave. I have infinite admiration for her. Thanks for sharing it here and you are doing a great job. Your scarf is beautiful. 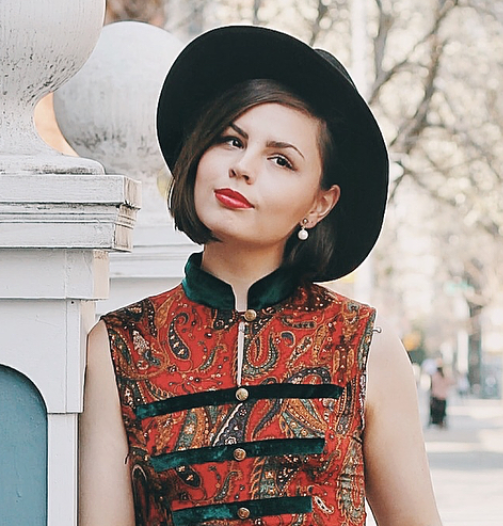 Such an interesting ethnic print. 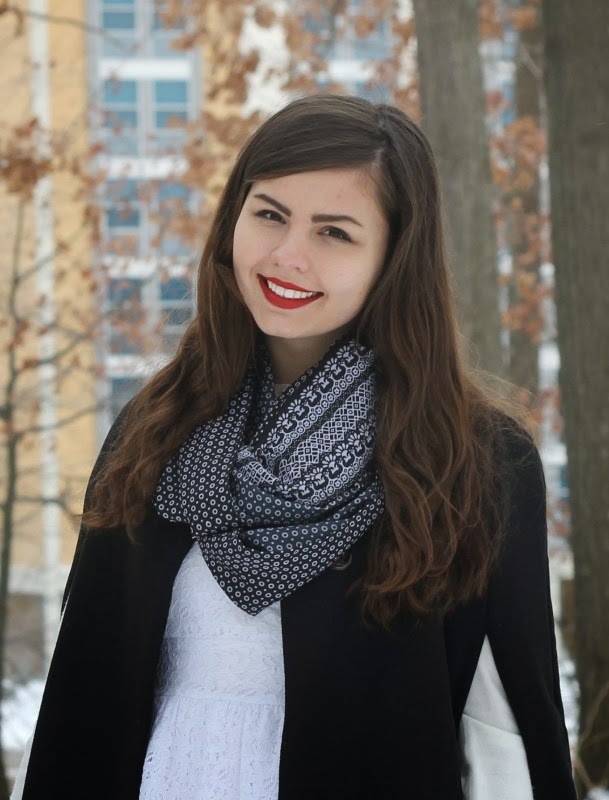 I love the Katakwi scarf! I absolutely adore the Sanyu scarf! This woman is so talented and inspiring. I am so glad that she did not lose hope in spite of all the trouble that she went through. All the people who are having a bad time should take her as an example and never give up on their dreams! the namakwekwe scarf is so so beautiful. I love this shop and the idea behind it! What an amazing/informative post to read! Amelia and I need to consider something along these lines for our future! This is a great cause thank you so much for sharing I honestly love finding out and organizations like this. The Mulembe scarf design in my favorite - reminiscent of the Polish pottery designs I love so well. I'm so glad you shared this with us, Lauren. The entire site inspired me so much. xo! The Sanyu scarf is stunning! Wow what a powerful story and an awesome store. I actually really love the Sanyu scarf. It's so vibrant! I also love the Lofisa scarf. 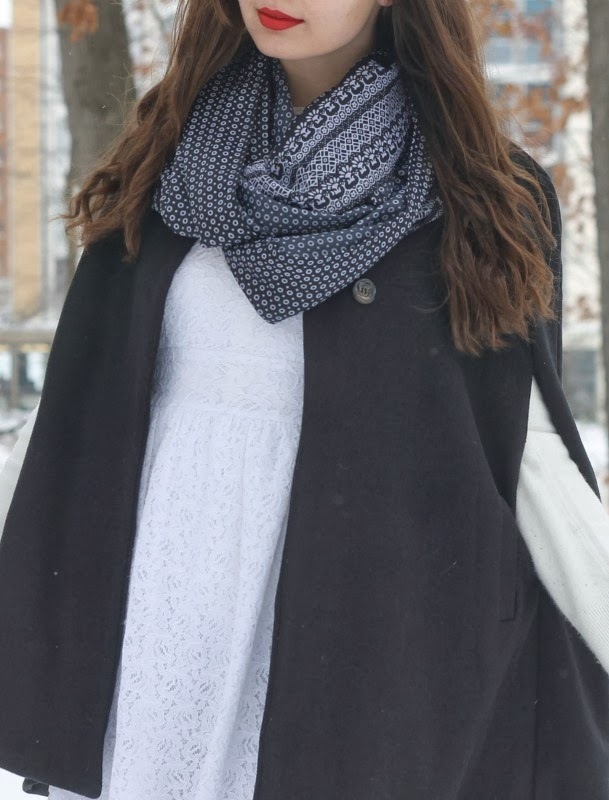 I love the Lofisa scarf- super cute! The cobalt colour is amazing and the inspirational woman who made it is indredible. 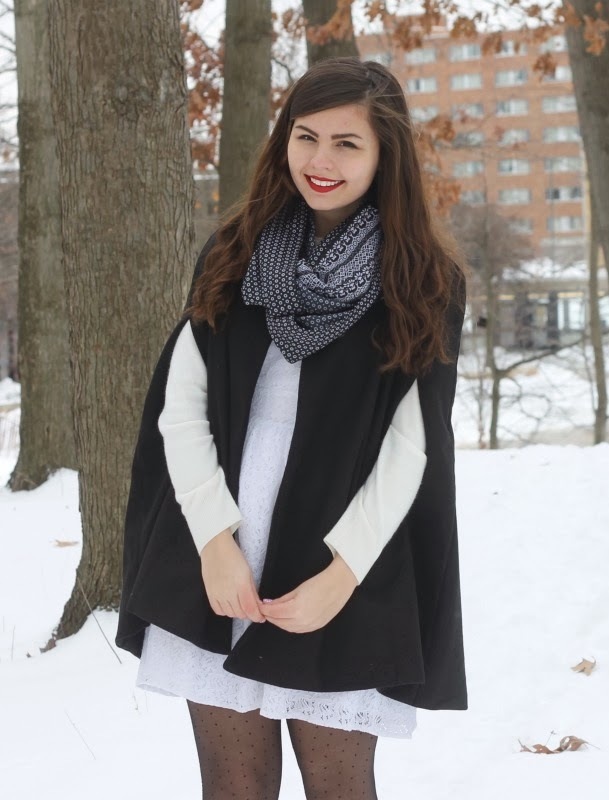 The Lofisa scarf is amazing! Always nice to know there are initiatives like this helping in individuals. I guess the best way I could help would be to actually buy something myself rather than hoping to back your freebie! Anyway, twould be nice to win and then perhaps buy something later! Love the beaded necklaces by Mary. Thank you for introducing me to this site!! This is EXACTLY the kind of company I want to be supporting. Affordable and ethical! Thanks for bringing it to our attention. Definitely going to pick myself up a scarf :). Lauren, I adore this post, the cause is amazing and I love the hadijjah clutch! Great post, it has inspired me to make a considerable purchase from the site! :) However, I am interested to know what percentage of sales actually goes to the ladies. I tried to find the information on the site, but wasn't able to. Hopefully, you can help me with this information. The women are fantastic, hopeful, working toward a better life, and they produce wonderful items. Support them through 1000 Shillings. This is so great. This is more than a giveaway, now I know about this amazing company! My favorite it the scarf by Annette. So gorgeous. How cool! I really love the Hadijjah clutch - super pretty!